Established in 1972, Rocky Mountain Seamless Raingutters has been providing Billings Montana and the surrounding areas with quality raingutter services for almost 40 years. We’ve built our reputation on quality work and reliable services and products. We stand behind every one of our jobs and provide all of this for a price you can’t beat. We pride ourselves on the relationships we build with our customers. We’ll discuss every detail of your individual job or project to make sure we provide you with exactly what you’re looking for. We take on every job with the strongest work ethic, and strive to get it right the first time. When you call Rocky Mountain Seamless Raingutters, we’ll first provide you with a free estimate, and then sit down and discuss with you all of your options from products to material selections. We make sure each of our clients receives an individual solution to their raingutter issues. If you live in the Billings Montana or the surrounding areas, and you have a job that requires top notch service, quality products and customer service that is second to none, call Rocky Mountain Seamless Gutters and find out how we can help you stay dry. your residence or business. 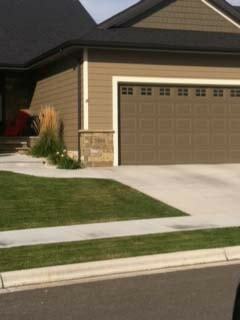 Serving Billings, all of Montana and Northern Wyoming since 1972, we provide aluminum, copper, steel seamless gutters. We offer 5 and 6-inch gutters, provide installation services, cleaning and even install covers if needed. You can depend on our dedicated professionals to provide you with stellar customer services and reliable installation and cleaning services. We aim to ensure that each of our customers is completely satisfied with our work! You can rely on our skilled professionals to cater to all your gutter installation and cleaning needs with ease. We will provide a written quote and then can arrange a time for installation after the quote has been accepted. Call us for a quote today. You can count on us to get your job done in a professional and efficient manner. We clean up the site after we have completed our job to your satisfaction and offer free estimates for your project. Andy provides excellent, friendly service and competitive pricing. Thank you very much! Tremendous effort and your crew did an awesome job!!! Thank you – You are great people to work with. I appreciate the extra effort to make me happy. Thank you for all your help, service, & accommodations! 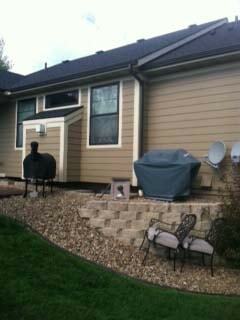 Thank you for the great job and quality workmanship. Josh and Isiah were very professional and pleasant to work with. I will recommend you to anyone who asks. Thanks again! Thank you for your prompt work. Appreciate it! Thank you for the great job. The gutter system is working perfect. Thank you – we absolutely love the raingutters! We also have references for roofs, fascia and other areas of construction.